Friday, September 21, 2018 from 9:00 a.m. to 1:00 p.m. 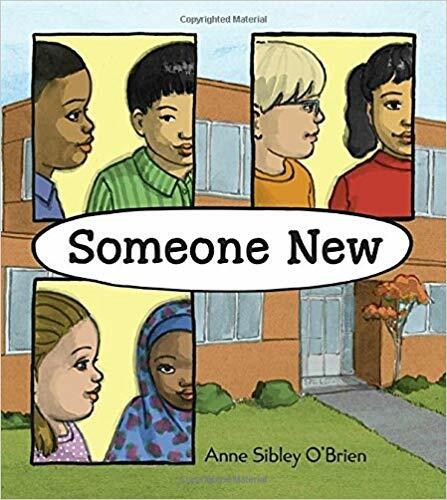 Author Anne Sibley O’Brien returns with her new book, Someone New, as three elementary schoolers – who aren’t new – begin to understand and embrace three immigrant students in an honest and heartwarming look at diversity, inclusion and friendship. Each class attending the International Day of Peace will receive two copies of this book. One for their classrooms and one to share with another class in their school. Other guests include Dorothy Paige-Turner, Lewis Lemon (David Causey), Jane Addams (Sue Crandall), Storytellers Megan Wells, Jim May and Nestor Gomez and may peace-making and interactivities. What Is International Day of Peace? The International Day of Peace, established by United Nations resolution in 1981, provides an opportunity for individuals, organizations and nations to create practical acts of Peace on a shared date (September 21). Around the world, the International Day of Peace is used to highlight the U.N. 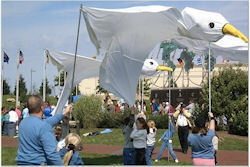 Decade for a Culture of Peace and Non-Violence for the Children of the World, 2001 to 2010. 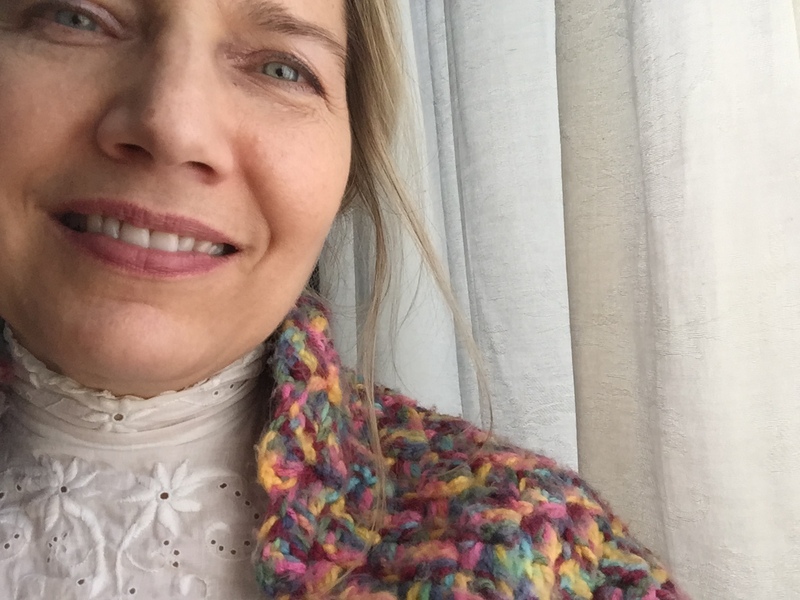 Sue Crandall - portrays local legend in peace-making history, Jane Addams. Ms. Addams graduated from Rockford College in 1881, and founded and sustained the world famous social settlement Hull-House. 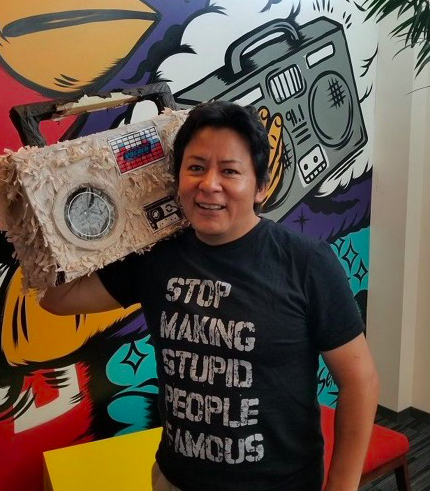 Nestor Gomez – Nestor immigrated to the US from Guatemala as a child in the 1980’s. He is an award-winning storyteller and will tell his story of immigration and personal experiences in a new country, new school and new culture. Anne Sibley O'Brien returns with this companion story to I’m New Here, as three elementary schoolers – who aren’t new – begin to understand and embrace three immigrant students in an honest and heartwarming look at diversity, inclusion and friendship. Each class attending the International Day of Peace will receive a copy of Someone New for their classroom and another to read with a younger class – spreading these lessons even wider. Dorothy Paige Turner – award-winning, well-known and highly respected artist and music educator will help students understand how each of us can bridge cultures promoting peace and understanding through music and interactive interpretation of the featured story. David Causey -History comes to life as veteran actor David Causey portrays Lewis Lemon, a freed slave and founder of Rockford. Megan Wells – National Award winning actress and storyteller, presents “Island of Hope” an Irish girl tells the story of her journey to America through the amazing and frightening Ellis Island. Jim May – Emmy award winning storyteller, teacher, author and Peace Day favorite – We are pleased to welcome Jim back to share his stories of peace and understanding with the children. Center for Non-Violence – will bring 2 mobile labs; the tech lab has computers and music equipment and the art lab is for sketching and drawing encouraging the children to use imagination in peace-related ways. Students can also: “Take the Peace Pledge”, have their passports stamped, do rubbings of the message “May Peace Prevail on Earth” from the Peace Poles and meet the peaceful pigeons! To register your students for this free event contact:Karen.Bieschke@aol.com. Space is limited. For more information, or to participate in Rockford's International Day of Peace, please contact us. The 2016 Day of Peace featured challenges of new students from different cultures on their first day of school and the lessons to be learned. Guests of the "Bridging Cultures" theme included: Dorothy Paige Turner, David Causey, Suzzane Crandall, Megan Wells, and Jim May.